8 Commercial Real Estate & Properties in Ashmore are listed in 4 categories. We have 5 Industrial Warehouses Sale , 2 Retail ShopsSale , 1 Hotels and LeisureSale and 1 Medical and Consulting PropertiesSale . This fully leased freehold building in the heart of Ashmore's commercial district makes this an outstanding opportunity not to be missed. The property is easily accessible from a major Gold Coast arterial road whilst being extremely centrally located. Net Income $96,000 p.a. + GST Tenant pays all outgoings on a monthly basis Quality tenant has occupied the premises since 2015 has just taken up a new 3 year option 1,372m2 land area 786m2 NLA Well position in a thriving commercial precinct in Ashmore Quality building with plenty of off street parking Owners absolutely determined to sell, don't miss out on this outstanding opportunity! Net lettable area 1,308m2 Land area 3,568m2 Development potential approx. Please contact the listing agent for more details by clicking on the link above. Disclaimer: Ray White has not independently checked any of the information we merely pass on. We make no comment on and give no warranty as to the accuracy of the information contained in this document which does not constitute all or any part of any offer or contract by the recipient. Prospective purchasers / lessees must rely on their own enquiries and should satisfy themselves as to the truth or accuracy of all information given by their own inspections, searches, inquiries, advices or as is otherwise necessary. No duty of care is assumed by Orchid Avenue Realty trading as Ray White Surfers Paradise Commercial divisions toward the recipient with regard to the use of this information and all information given is given without responsibility. 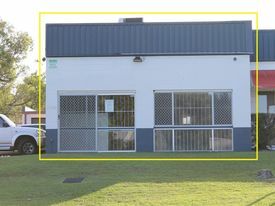 Main Road location close to Ashmore City Shopping Centre Unit is 167m2 with a Mezzanine over roller door access area Currently set up as an office / showroom with separated storage area Four (4) parking spaces included on title Visibility from busy Currumburra Road Air conditioned Showroom / Office Kitchen & Toilet Purchase at $299,000 Lease at $25,050 + GST and Outgoings per annum... Contact agent for more information.